Have you seen this poster? 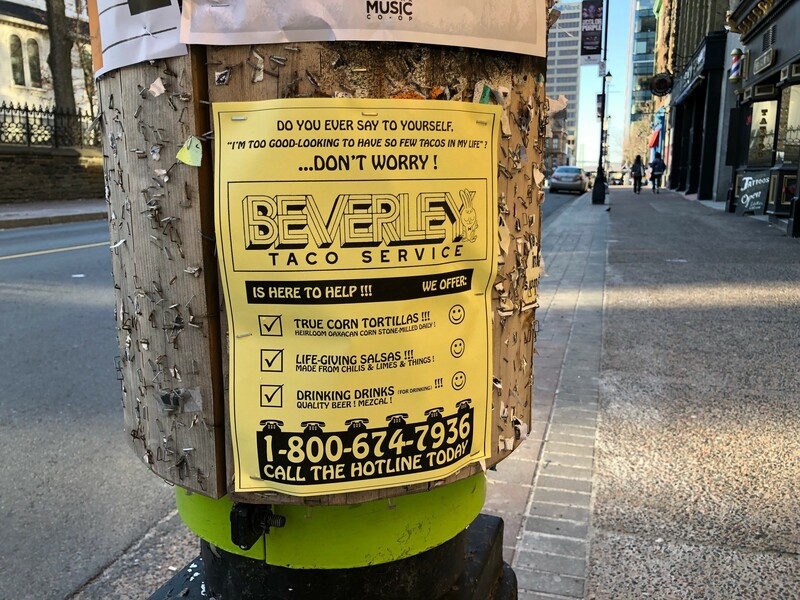 If so, between scratching your head and wiping the drool from your chin you may have wondered who Beverley is and why she wants to feed both your curiosity and your belly. 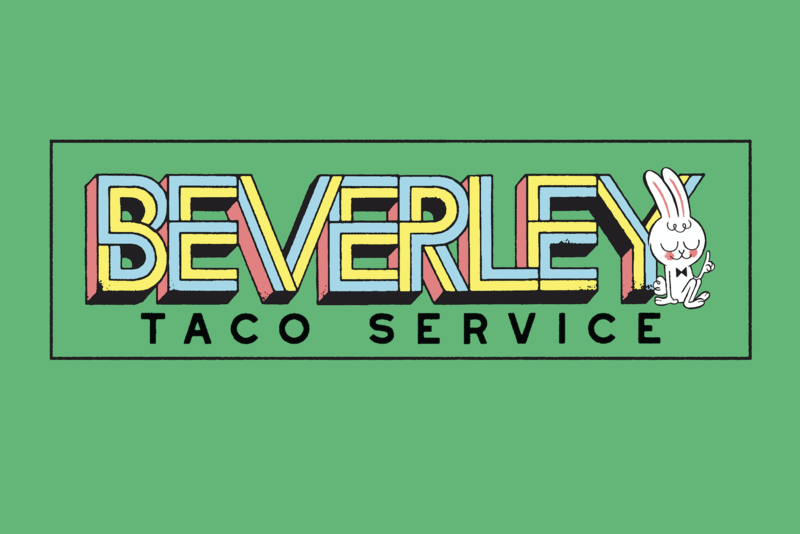 Turns out mysterious masa-loving taco maker, Beverley Taco Service (which has plastered telephone poles as of Friday), comes to us from Highwayman chef Blair Clarke and his beer buds at Stillwell. A longtime taco fanatic, Clarke has been researching the handheld Mexican meal for years and after a trip to Oaxaca this winter with Stillwell's Chris Reynolds, he's ready to debut his own. "It was pretty eye-opening. You can read and research all you want but going and experiencing—it kind of re-instated that simple is always better," says Clarke, who says his tacos will be all about freshness and flavour, but its the tortilla itself that will be the star. beloved contraption means Clarke's taking heirloom corn from Oaxaca and grinding fresh masa on the daily at a downtown prep kitchen he and Reynolds affectionately call The Masaplex. "Once you’ve had a tortilla made with fresh masa, it kind of sets the bar," says Clarke. "It did take some leg work"—or a couple of years of searching—"but 600 pounds later here we are." If you haven't already called the poster's taco hotline and are wondering when/where/how you can taste the "life-giving salsas," Stillwell-quality drink selection and those fresher-than-you corn tortillas—we're here to tell you BTS will make its entrance via pop-up. The first appearance is slated for Friday, April 12 at Cafe Good Luck (145 Portland Street) from 6pm to 10pm and the second goes down Saturday, May 4 at the Mayflower Curling Club (3000 Monaghan Drive) from 7pm-11pm. But you should still give that number a call. It's a treat. The pop-ups will continue through the summer as Clarke and the Stillwell gang nail down a permanent location for their soon-to-be restaurant (which will be downtown). And even better? BTS will spend the summer serving up its best stuff at the Stillwell Beer Garden (5688 Spring Garden Road).